Mystery, Uncertainty, and Death in the Ural Mountains: Part II: Uncertainty = Terror, But Mystery = Uncertainty, So…? Uncertainty is one of our greatest imaginary foes while mystery is our idol. How can that be? On the one hand, people don’t stomach uncertainty too well—they plan their future, follow five-year plans, have career trajectories, have goals of doing some things by certain ages, whether it’s graduating from school or buying a house, etc. People act as if the future is certain and secure, as if their plans will reach fruition, often without planning for obstacles. In fact, in his well-known work, Escape from Freedom, Erich Fromm (1941) shows that people value certainty and security so much (even if it’s based on illusion), that they are willing to give up almost anything for it. Even their freedom (pp.105-107). Fromm (1962) writes, “Man lives with illusions because these illusions make the misery of real life bearable” (p. 15). Uncertainty is commonly seen as that thing which contributes to the misery part of this equation. But this illusion of security becomes one of the bitter pills of the postmodern existence, once the inevitable obstacles spring up. I say inevitable because although we may plan and scheme as if we can build a certain future, things rarely go 100 percent according to plan. When our expectations encounter reality, an ugly clash can ensue, like holding up a mirror to your face for the first time and realizing you look nothing like Brad Pitt (but you have already ordered a thousand business cards with “Brad Pitt” on them). I would not say that uncertainty is an inherently “bad” thing just because people tend to be so afraid of it. Uncertainty is a fact of life, neither good nor bad, and every culture nurtures a different relationship with uncertainly. In the current dominant culture of American consumerism and capitalism, uncertainty—as a fact of life—seems to be denied. From the viewpoint of Buddhist and existentialist frameworks, this is a problem. Now, denying facts of existence is a problem, just as it would be a problem to deny that humans need oxygen to survive or that we are vulnerable to the elements. You would probably not leave your home undressed during the Canadian winter, pretending that the subzero wind chill does not affect you. If you did, you would be in for a rude awakening. This is the type of rude awakening people experience when their expectations in life are not met, as if they possess a certificate saying that they have a special right to experience life in a completely different, much more secure way than the rest of the world. Again, Buddhist and existentialist writers, such David Loy, D. T. Suzuki, and Jean-Paul Sartre, would not say that uncertainty is then an inherently good thing. What they might suggest is a more balanced approach—accepting that uncertainty is part of life would include letting go of the illusion that you can control all your life circumstances. Once you let go of the illusion, it will be easier to manage obstacles when they arise instead of spending your time fighting against the inevitable reality of that obstacle. In another words, you can spend your energy applying to a different school if the school of your dreams rejected you, rather than wallowing in the resentment and bitterness of your thwarted plans. 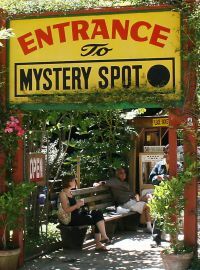 While generally fearing uncertainty, many people also are drawn to mystery. It seems as if this might be a contradiction, but it’s not. If we get back to the Dyatlov’s pass incident, the distinction is clear: mysteries like the Dyatlov’s pass give us a safe measure of uncertainty. It feels safe because the mystery will likely have no bearing on our daily life (read: our security, financial state, whether we believe we are worthwhile, etc.). As a contrast, the uncertainty of possibly missing your flight and therefore job interview and therefore opportunity to feel a sense of accomplishment, for example, does not feel like a “safe” kind of uncertainty (anyone who had been in that situation will probably agree). As such, we can feel free to flirt with uncertainty by becoming addicted to mysteries, whether it is Dyatlov’s pass story, some conspiracy theory, or the miracle of kittens. Is this flirtation with uncertainty problematic in itself? No. Yet, if we only engage with uncertainty at a distance, if we can only tolerate it when it has no bearing on our practical lives, relationships, or self-image, then really we are trying to keep a fact of life caged in a tiny glass box. Then, when something does not go according to plan and that little box shatters, we have no immunity for uncertainty. We are infected with anxiety and we cannot tolerate it. This entire psychological system simulates a 90’s cell phone dropped in water: it’s trying to function, but it’s um… not doing so well. We start imagining the absolute worst and then acting as if it’s actually happening. What about if we could find other ways to engage with uncertainty, other than just relegating it to mysteries that are like a fancy intellectual toy: fascinating, but not relevant to daily living. I don’t claim to and don’t want to provide The One answer as to how we might engage with uncertainty in a different way. But here is just one thought: if instead of thinking of our own [life, future, identity, insert whatever you want here] as a terrifying void of uncertainty, why not think of it as a mystery? Perhaps it is a mystery that you can dedicate yourself to solving while, at the same time, recognizing that you can never solve it absolutely, never predict the future with 100 percent money back guarantee. If one truly throws themselves into such a view, might life seem more interesting? More worthwhile? More fun? I don’t know. Try it. Let me know. Fromm, E. (1941). Escape from freedom. New York, NY: Rinehart. Fromm, E. (1962). Beyond the chains of illusion. New York, NY: Simon and Schuster.